Barcelona is a city that changes its look and energy with the change of seasons throughout the year. After 6 years of living here, I’ve come to the conclusion that winter is the best time to visit this fantastic city – especially if it’s a winter like the one we’re having this year, with plenty of sunny days and mild temperatures. The reason why this season is the best to enjoy this city is mainly because there are fewer tourists, or at least, fewer when compared with the number that are usually here in the warmer months. If you live and work in Barcelona you might also agree with me that the city also changes a lot from day-to-day; let’s say then that my perfect day would be a sunny winter Sunday in Barcelona. 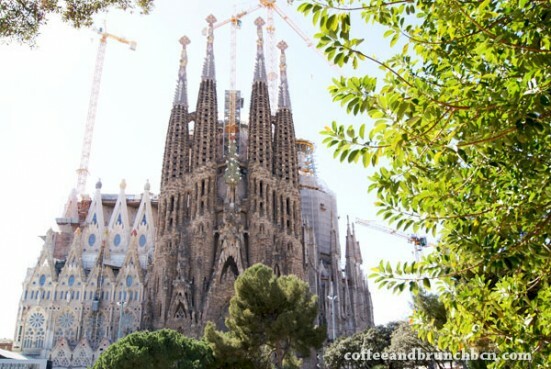 I’d start the day by making a nice cup of tea and taking it, along with a book, to the Sagrada Família, which is just three streets away from my house. In the garden of Carrer Marina there’s a bench with an incredible view, between the trees, of the Sagrada Família. This is the spot most tourists choose to have their picture taken with the church. It’s usually pretty quiet in the mornings, but even when the tourists start to arrive it’s a magical place. Once there were two guys sitting on a bench close to mine and playing swing music while I was reading and the tourists were passing by – taking their souvenir photos and disappearing. It was like being in a surrealist bubble while I watched the world go by around me. But the cathedral isn’t the only iconic thing about the Sagrada Família neighbourhood. 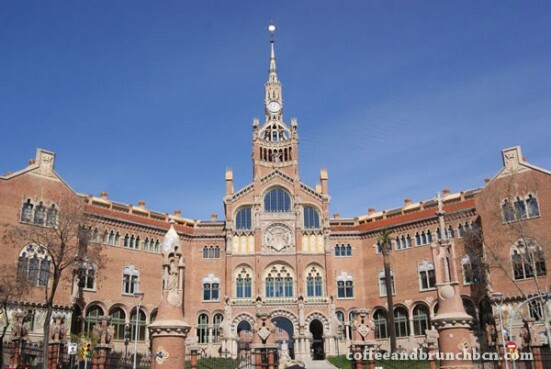 On the other side of Avenida Gaudí there is also the beautiful art nouveau site of Sant Pau and its recently restored old hospital, which is now open to the public. 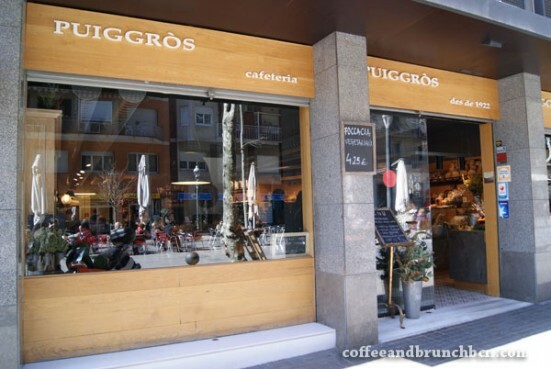 So my day would then continue with a walk along the Avenida Gaudí, right to the end, near Sant Pau, where there’s a typical modern style Catalan café called Puiggròs. This is where I’d have my breakfast. Midday on a Sunday is also perfect to go and dance lindy hop in the open air. Lindy hop is a swing dance. 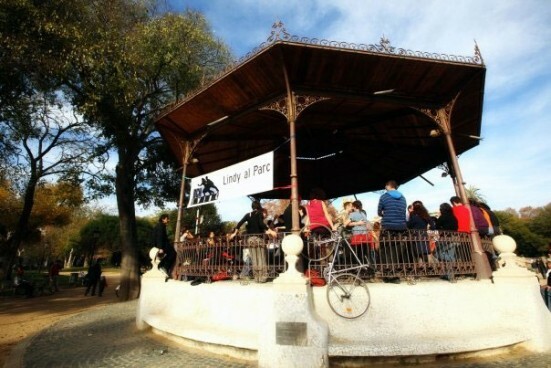 The community of aficionados of this kind of music in Barcelona is one of the biggest in the world, and one of the most welcoming. It’s like a big family, where you’re always meeting more members, which gives you the courage to go and dance on your own as you’re certain to see someone you know. Depending on which Sunday of the month it is, there’s dancing in Plaça de la Virreina (in Gràcia) or in the Parc de la Ciutadella, this one organised by the association bcnswing.org (yes, there is an association for swing in Barcelona). Depending on where there’s dancing, on my perfect Sunday I’d look for a brunch place nearby – perhaps somewhere new so I could write a review for my blog. After brunch I’d take advantage of the season to walk on these streets that are usually the tourists’ domain in the summer – Gotico or el Born. This perfect day would probably end by having an aperitivo or an early dinner in the same neighbourhood I’m enjoying at the moment I get hungry. Claudia is Italian and moved to Barcelona 6 years ago. She is a brunch freak and works on her blog Coffee & Brunch BCN. 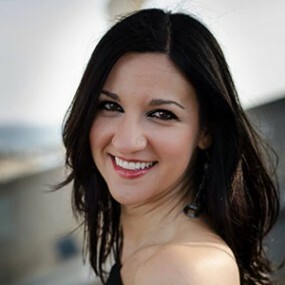 An experienced Airbnb host who also loves swing dancing, she recently became involved in a brand new project called Chile Mole Pasta.